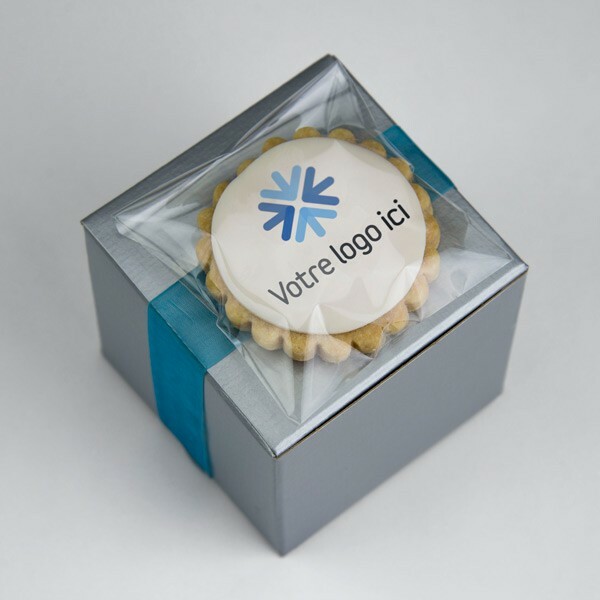 > Corporate gift>Boxes of shortbread cookies: coloured shortbread cookies in thematic box. 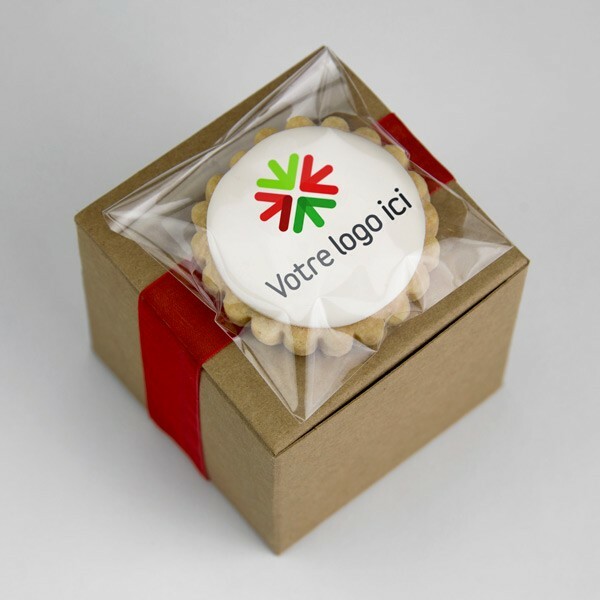 Boxes of shortbread cookies: coloured shortbread cookies in thematic box. 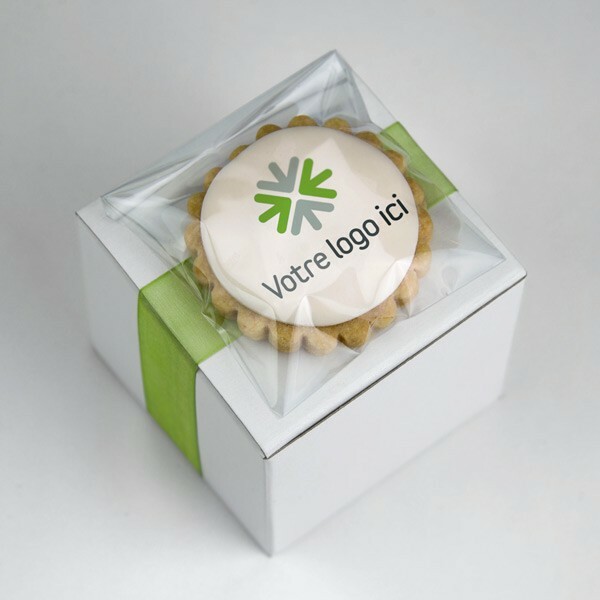 These cute boxes containing 6 big shortbread cookies (vanilla & chocolate) are decorated with a shortbread cookie decorated with marshmallow fondant with your logo on it. 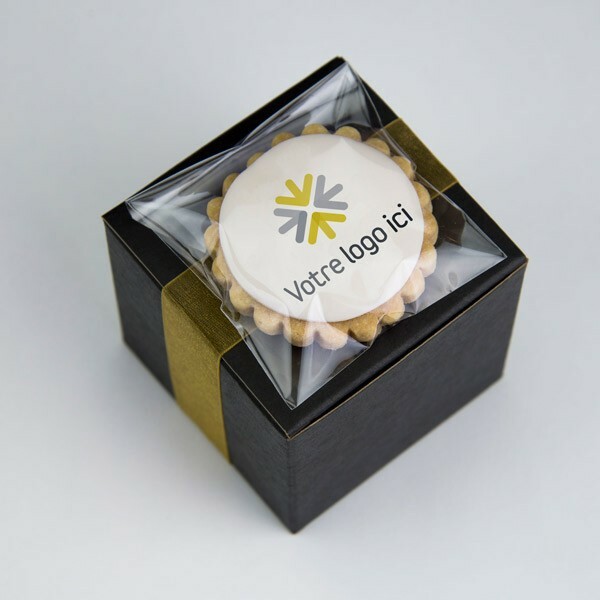 Possibility to have a personalized label on the box rather than the cookie on stick.